The legendary promotoer, Connie B. 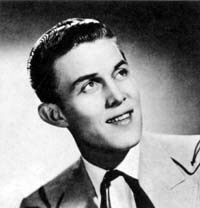 Gay, a elected to the Country Music Hall of Fame in 1980, started the Town & Country Time Jamboree show on October 1, 1956. Fans will remember that it was held at the Turner's Arena at 14th and W Streets. The premier show presented a cross section of country music in that era. One was Bob Wills and the Texas Playboys, who opened the show and were making their first appearance in the DC area. 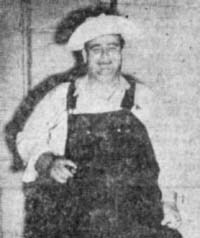 Marvin Rainwater, with the Ozark Jubilee at the time, also appeared. And from the WSM Grand Ole Opry, Autry Inman. The show aired over WMAL-TV on a late Saturday night - from 10:00pm to 1:00am. With such talent on that first show, one could only wish to have been able to watch this show back then. They wrote in the 1956 article we found that over 3,000 fans attended the debut of this show and was getting a "...tremendous amount of mail" to get the show off to a rousing start.